Mic.com – The deadliest drug in America is legal in all 50 states, and it is significantly more dangerous than a range of illegal substances much more heavily regulated and policed. What is that drug? ALCOHOL. According to research recently published in scientific reports and spotted by the Washington Post, alcohol is approximately 114 times more dangerous than marijuana. Marijuana still remains the only federally controlled substance that has never caused a death by overdose. 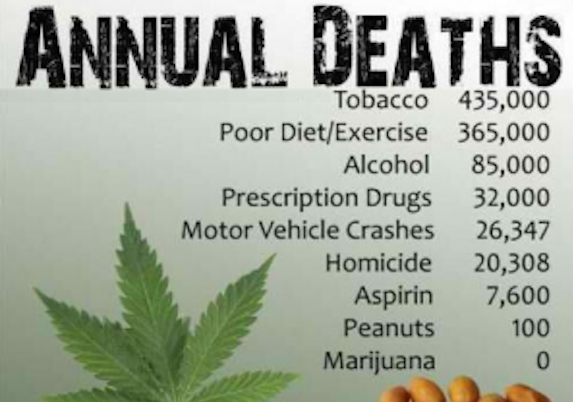 The authors of the study assessed the “comparative risk” of death that accompanies consuming everything from weed to meth and heroine. They found that marijuana is even safer than they previously believed. 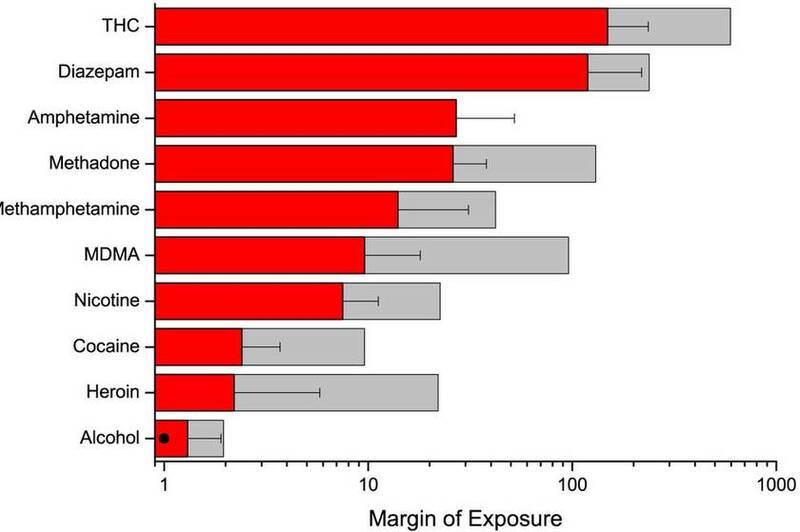 Researchers drew their conclusions based on something called “margin of exposure,” which means the likelihood of an average user accidentally ingesting a toxic dose. The lower the ratio, the smaller the margin for error, and the easier it is to consume a harmful dose. 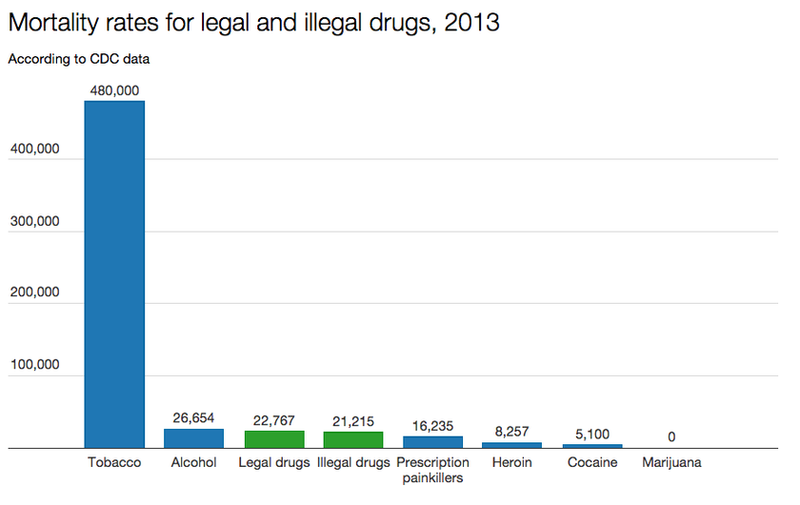 As you can see in the chart below, marijuana’s average margin for error – represented by the red bar – is much higher than that of other drugs, meaning the likelihood of consuming a harmful doses lower. The margin for error for alcohol, is very low, reflecting a much higher risk of harmful consumption. Under the Controlled Substances Act of 1970, marijuana, which researchers found to be the safest drug tested, is ranked alongside Schedule I Heroin, Ecstasy and LSD. That would suggest that cannabis has “the high potential for abuse,” no medicinal value and no accepted means for being ingested safely under a doctor’s supervision. Marijuana, as studies over the course of a decade have continually found, defies all three qualifications.